come back to wail and moan. and some still stick around. so’s we’d be free, that’s what they said. no better than the Reb’s to them. 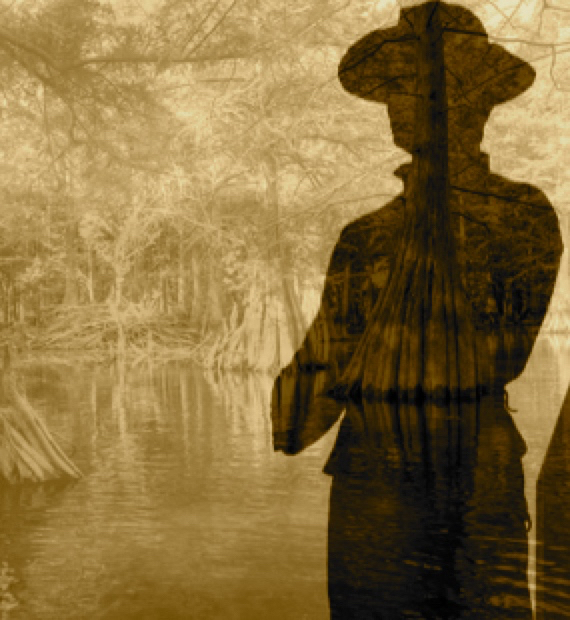 Editor’s Notes: The superposition of solider statues on the base of the William T. Sherman Memorial in President’s Park (Washington, DC) in silhouette on a photograph of cypress trees (by blackmagic), all rendered in a ghostly sepia, complements the poem.